I want to highlight a couple of recently released studies. 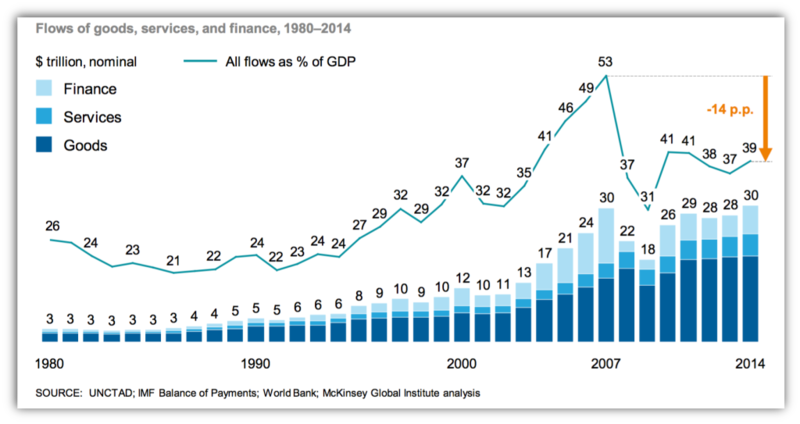 The first is the McKinsey study “Digital Globalization: The New Era of Global Flows.” Like most McKinsey studies, it is very long and dense, but packed with mind blowing information and charts. I’ll share some of the highlights here. The first interesting finding is that total traditional global flows – finance, goods, and services – have actually declined since 2007 in the wake of the Great Recession. This is especially the case when viewed as a percentage of GDP basis. For decades, the movement of traded goods, services, and finance defined our image of globalization and deepened the connections between nations. Today, however, those traditional flows have lost their momentum. At least part of this shift appears to be structural rather than a temporary cyclical dip. But this does not mean that globalization has moved into reverse. Enormous streams of data are transmitted across borders every minute, and they are growing exponentially in both volume and variety. Today globalization is being accelerated and redefined by flows of data that embody ideas, information, and innovation. Indeed, they show that global data flows have increased 45x in the last ten years. This probably doesn’t surprise. They illustrate the rise of the global aspect of digitization by showing the share of foreign visitors to leading media web sites. The major UK sites are hugely international as we might expect. But even the New York Times gets a quarter of its visitors from international sources. Another place we are seeing increases in flows is people. It’s interesting to see that until very recently, refugee flows had been stable or declining. We see the strong uptrend in tourism at the same time we hear complaints about it out of the citizens of places like Barcelona. And also some uptick in migrant flows in the recent past as this has become a hotter button political issue. 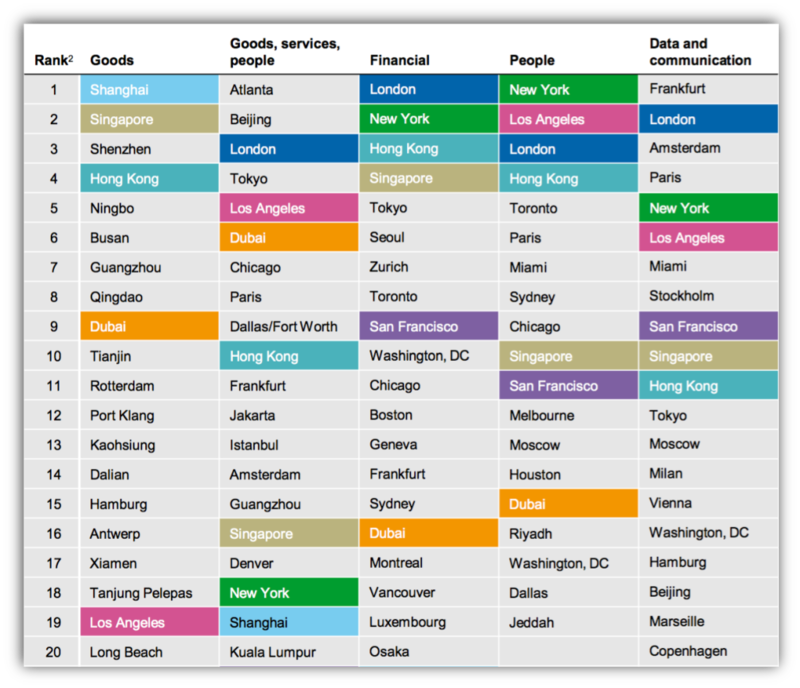 Our last report found that the world had only eight truly “global cities,” defined as ranking in the top 25 in at least four of the five major flows: New York, London, Tokyo, Los Angeles, San Francisco, Singapore, Hong Kong, and Dubai. This year, using updated data, we find that Tokyo drops off the list due to a decline in goods trade, while Shanghai takes its place. In fact, Chinese cities generally rose in the rankings, while a number of European cities (such as Bremen, Hamburg, Frankfurt, Brussels, Geneva, and Madrid) fell. To find out more, click over to read the whole report. The second study comes from the Brookings Institution and is called “Remaking Economic Development.” The report highlights a number of depressing trends. First, growth is not assured. 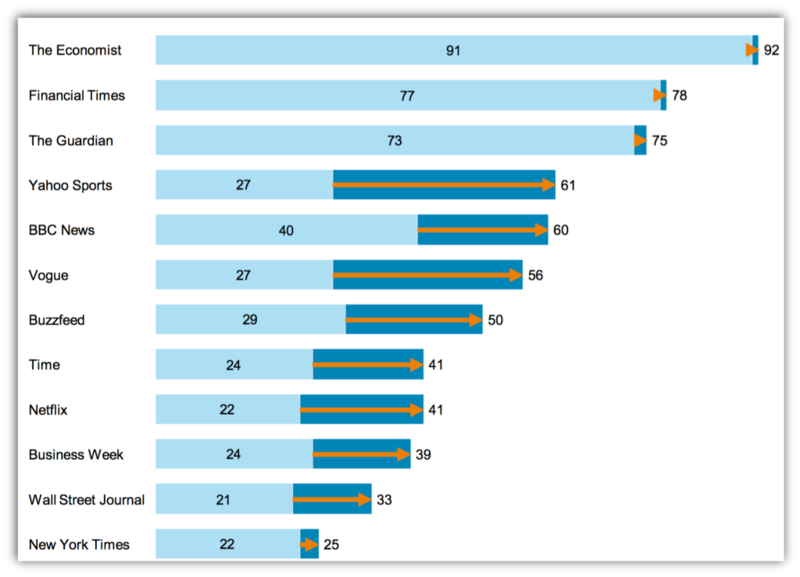 U.S. leadership in advanced industries—those that are the most technology-driven and R&D intensive—is slipping. Productivity continues to lag. New business formation and labor force participation rates are declining. Household incomes and wages are stagnant or losing ground for all but the top tier of earners. Nationally growth in low-wage jobs has far surpassed growth in middle-skill and higher-wage occupations. While income inequality is widening across the United States, the divide is even greater between racial and ethnic groups and among the 50 largest cities. Further, the number of people living in neighborhoods of concentrated poverty, as well as the total number of such neighborhoods, has increased dramatically in cities and suburbs. This one doesn’t have data charts, but it does lay out the Brookings point of view on what to do about the above trends.